When was your last family portrait? If you are like most people, you did it when the kids were little, but now years have passed and important stages have been missed. You don't have to let that happen again this summer! Here are 5 reasons that prove this summer is the BEST time for your family portraits! This is when the Northwest is at its very best with the lush green of the land and vibrant blue skies and water. You don't have to worry about the winds and rain that can ruin hair and clothes any other time of year. When the weather is so good, you have options for more diverse locations. You get to take advantage of the amazing outdoor lighting. You can build sessions around summer themes or activities your family identifies with. From the mountains to the water, all the parks and natural areas have been manicured and are waiting for you. You already know it's hard to get the family together the rest of the year, but summer is a time when everyone's schedules open up and life slows down just a little. It's easier to take time off work during the week. 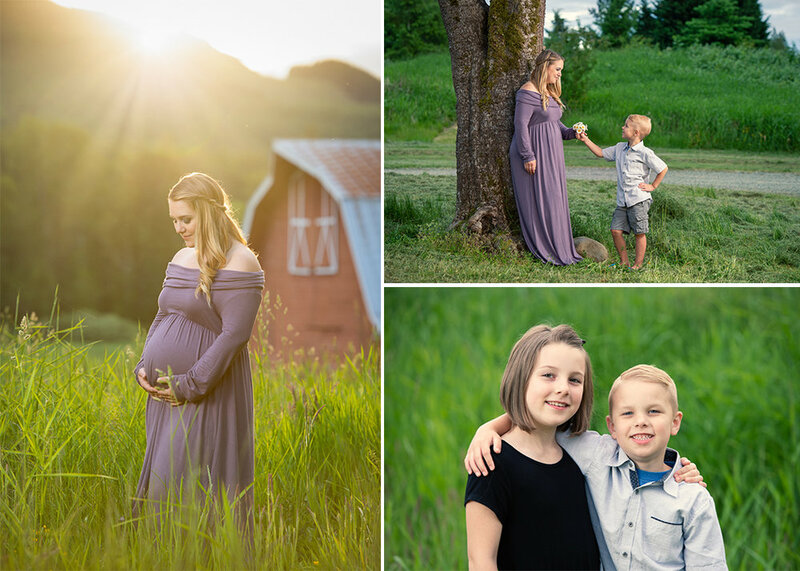 The days are longer meaning families can still do portraits after work in the beautiful golden light of evening. Yes, the best moments happen in summer. Everyone is more relaxed, the days come a little easier. The family is together more and creating quality memories that last a lifetime. Portraits can persevere and commemorate this unique stage in your family. 5. Best time is before it's too late! One thing I have learned in photography is that summer is the easiest season to let slip past you. People start with dreams like "This will be the year we finally get the family portrait done!" but, year after year the summer BBQ's, kids sports, travel, yard projects, and big work events steal every last bit of your time...and the family is yet another year older with nothing to show. The best time is now. Once summer slips away everyone else will be calling us frantically, saying, "Oh my goodness, where did the season go? Is there any way you can STILL fit me in!?" Call us today to get the choice summer dates!